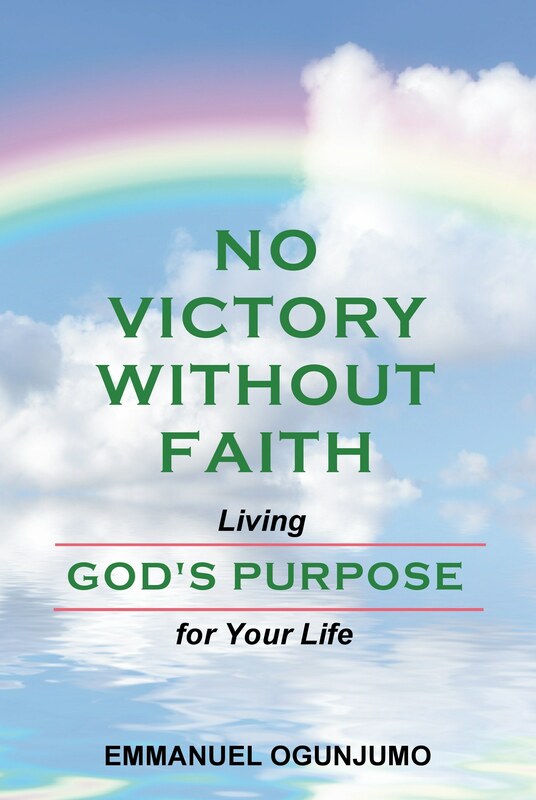 No Victory Without Faith – Is Faith Really That Important? If there is no victory without faith (see 1 John 5:4), the natural question that arises is this: why are there so many people who seem to be prospering in life despite rejecting God? The answer is God’s unmerited mercy towards mankind. See, after the fall of man, God pronounced the ground cursed because of man’s disobedience (see Genesis 3:17). As a result, the only things the work of man yielded were thorns and thistles. In other words, nothing that man put his hand to outside of the will of God yielded fruit. All his toil and effort was in vain. One would have thought that this would turn man towards choosing God, but it did not. Man continued to choose wickedness in all his ways and so incurred the wrath of God (see Genesis 6:5). Being a God of justice, God had to punish man for the evil he had committed, so he sent the great flood. The only reason God did not destroy all mankind was because Noah was a righteous man and so found favor in His eyes (see Genesis 6:8). The flood represented a new righteous beginning for mankind since only Noah and family inhabited the earth. This is when God in His mercy decided that, (1) the ground would no longer be cursed for the sake of man regardless of whether man remained evil or not (see Genesis 8:21). Furthermore, He declared that, (2) seedtime and harvest time would continue to exist for as long as the earth remained (Genesis 8:22). These two declarations are huge! They gave man a way to prosper from his hard work and toil irrespective of his heart, regardless of whether man was obedient to God or not! Jesus referenced this mercy of God when He mentioned that God makes the sun rise on the evil and good, and sends the rain on the just and unjust. Question: If this is true that we can ‘succeed’ without faith, that God has made a way for us to have faith in our own efforts, then why do we require faith in God? Those of us who accept Jesus not only continue to walk in the extended mercy of God to forgive our sins, we also receive the ability to walk in the favor and power of God through the infilling of the Holy Spirit. Only faith can release the favor and power of God in our lives. This means that we no longer have to toil and spin for what we need (Matthew 6:28). We can simply depend on God to provide those things for us as we walk in loving obedience to the prompting and guidance of His Spirit. Hence, we see that it is no longer hard toil and labor (works) that bring blessings. Rather, it is loving obedience that brings blessings. Though we can continue in the way of all creation, Jesus has shown and made a better way available to us – the way of favor and power – the way of faith and love! Second, outside of faith, the extent of our blessing is proportional to the labor of our hands. The way faith operates, the extent to which we are blessed is proportional to the extent of our obedience. A good example of the power of faith (trust and belief) is found in the book of Daniel. Daniel went from being a captive in Babylon to becoming the second in command of the kingdom – which was the greatest in the world at the time– because he had faith in God and walked in obedience to Him. Could Daniel have toiled and worked his way to that position? No way! He was a foreigner and so would not have been given the opportunity. Nothing he could have done by his own strength could have taken him to such heights of power. By this example, we see that faith will always propel us further than what our own strength and works can achieve. Moreover, faith allows God to do it instead of us doing it. Since God can do it much faster, easier, and better than we can, we see that faith involves a modicum of peace and rest. Third, faith comes without the internal struggle and the need to balance and juggle the many things that striving and toiling brings. Rather, it simplifies our life and allows us to hit the mark of the high calling of God. This is why the blessings that come from walking in faith come without sorrow (Proverbs 10:22). Conversely, the blessings that come from our own sheer grit and strength usually come with sorrow. An example of this is a man who works all of his life and becomes wildly rich because of his efforts, but leaves a wound in his children because he was never there. Fourth, faith comes with the release of supernatural power. The power that conquered the grave was deposited within us when we chose to accept Jesus. This power is released as determined by God as we walk in faith. It is this release of power that ensures our victory as we walk in faith. An example of faith’s ability to achieve the supernatural is found in 1 Kings 13:1-6. When a man of God got to King Jeroboam and proclaimed the Word of God, the king stretched out his hand and asked his officers to arrest him. Immediately, the king’s outstretched arm withered and the altar he stood by broke. When this happened, King Jeroboam changed his mind quickly about the arrest! This story tells us that God’s power will always follow those who walk in faithful obedience to Him, that He is our protector and our shield, and we do not have to be afraid of anything. When we walk by faith, we do not have to worry about the result, for we are backed by the indomitable power of God. Why is faith important? Faith allows us to experience the chain –breaking and life-giving favor and power of God in our lives. Tagged as Daniel, Is Faith really that Important?, King Jeroboam, No victory without faith, Noah, supernatural power, What is faith?, Why do unbelievers prosper?, Why I do need faith? The only way to win in life is to win in love. Unfortunately, too many of us have become complacent in our pursuit of love and so have allowed our fears to make us settle for less than God’s desire for us. LOVE DEFICIT reveals the folly of fear and how crucial it is that we develop a heart of love if we are to experience victory in our lives. 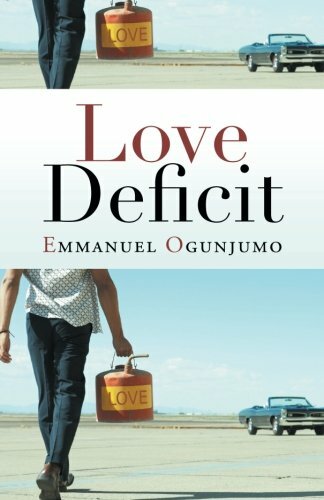 If victorious is a word you would not use to describe your life, then you need to read LOVE DEFICIT. It can help you understand what is hindering you from taking possession of the blessings that God has already made available to you. It can unleash the power of love in your life so you no longer have to live in defeat and torment. A sure way to succeed in life is to emulate those who have come before us who have been successful. Since Jesus is success personified, there is no better person from whom to learn the secrets of success than Him. Although God has made these secrets available to all through His Word, we still fail to pay attention. If you find yourself being wildly successful in one area of your life but lacking in anther area, if you have been searching for the secrets to success in life, look no further. Looking to Superman: The Secret to Success will take you step by step through the gospel and illuminate the key principles and attributes that made Jesus so successful in all that he did. 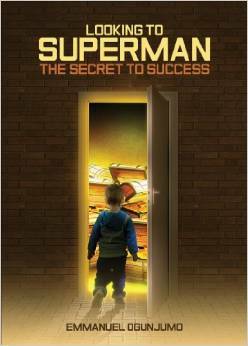 You too can live like Superman by applying the principles in this book by the grace of God. Live the life you were created to live! It is too late for me.’ ‘I have made a mess of things.’ ‘I just want to scrawl into a hole and die.’ ‘Nobody will ever love me.’ These words are likely familiar to those who are battling through the reality of seemingly unforgivable mistakes and unforgettable decisions made in the abyss of immorality. 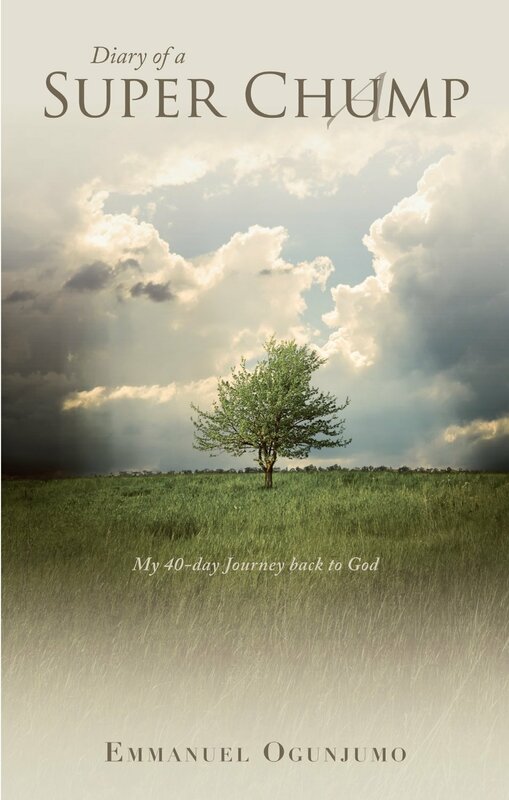 Having reaped the bitter fruit of melancholy and hopelessness that germinated from the seed of pride, fears and insecurities, Emmanuel shares his personal diary on his journey back to God, which highlights the grace of God in delivering him in just forty days from the strongholds that had run his life. In a tale of spiritual enlightenment and growth, DIARY OF A SUPER CHUMP will motivate you to look inwards into the real you, challenge you to battle the fierce lions of your life, and give you practical ways for you to allow God to turn your life around – to turn you into a SUPER CHAMP. In God, It is never too late to make a comeback! Click here to read 20% of the book absolutely free! FAITH IS THE DYNAMO THAT MAKES THE IMPOSSIBLE POSSIBLE! Has God put something on your heart that seems impossible? Have you delayed your dreams time and again, waiting until the time is just right? Have you achieved many great feats in your mind and in your words but have actually never taken a step towards making them a reality? Have you settled for less than the abundant life God planned to give you? For many people in the world, hopes and dreams once carried have given way to a regrettable life resigned to ‘what if’. But we are not as many people in the world, we are believers! We are not to live with unfulfilled dreams, disappointments, and the acceptance of failure, but by the truth of the unwavering promises of God for our lives. If you are tired of settling for less than Gods best for you, then NO VICTORY WITHOUT FAITH is for you! NO VICTORY WITHOUT FAITH shows how faith has always been the difference maker in the world since the beginning of creation; how FAITH is the dynamo that makes the impossible possible. this book will help you commit to a life of faith and enable you to make a difference in your world, fulfill your destiny, and leave a legacy.